The problem is that point data estimates, like, pay inflation is going to be 2.4%, have a high possibility of being wrong. Using a probability approach gives more information about outcomes and new ways of thinking about those low probability, high impact events in our lives – our “Black Swans”. Dr Sam Savage, a pioneer in work on probability, tells the story of the mathematician who drowned in a river that had an average depth of three inches – that average hid a deep trench right across the centre. Taking point averages and using them to forecast is a common fallacy. House prices have gone up, on average, $20,000 per year, the forecast is that they will go up $20,000 next year – oops, they fell $50,000. Using a probability approach tells us that there was a less than 40% chance of a $20,000 increase and, a 10% chance of a $50,000 fall. So how do we get to the “50% probability that inflation will be 2.4%”? My favourite method (but not the only one) is to use a Monte Carlo Simulation. This is a statistical technique that allows me to account for volatility in numeric analysis. It does this by producing a probability distribution for any factor that has variable outcomes and by producing a large number of random samples. What does this mean? Well, I took some UK National Health Service (NHS) quarterly sickness data over five years. The average percentage absence was 4.2%. I ran one million random trials (it took about twelve minutes) against the data distribution. It showed that while there was a 50% chance of absence being 4.2% there was a 10% chance of it being 5%. That may not seem like a big difference but when you are dealing with the biggest workforce in the UK, 0.8% is a large number of doctors and healthcare workers off ill. I used a different set of NHS data on the number of sick days lost per employee. The 50% probability of days lost was 6.1 – but there was a 10% chance of 9 days, a large difference. As an HR professional it is better to say that we have a 50% probability of wage inflation at 4.2%, which clearly gives a large range of other probabilities than saying it will be 4.2% with a very high probability of being wrong. There are a lot of advantages to using the probability approach. We can show what might happen and also the probability of each outcome. One example of this that I have used is to look at the probability of different performance measure outcomes in an organisation if they were normally distributed. I then compared this with actual outputs and was able to show the CEO which departments were “outliers”; had produced markings that were higher or lower than forecast. That allowed us to talk to the line mangers to find out why the department was marking higher or lower than was predicted if the performance was normally distributed – which is what you would expect. Using probability analysis is invaluable for “what if” exercises. How many times have we been asked to model what would happen if you cut the budget by 3%? Using one number you get one output. Using the probability approach you can give a range of possibilities. I have looked at death rates in an organisation against the probability forecast. On one occasion, using a probability approach, I suggested increasing insurance cover just in time for a sad increase in the number of employees dying. (The increase was, of course, entirely random, but I had forecast that probability). When in investment banking I worked with an outstandingly good business continuity manager called Stuart Dunsmore. He talked about the possibility of a bomb in central London being extremely small; but the effects would be highly disruptive. Sadly, he was proved right, but the upside was we came through the London bombings with our UK business unharmed due to his preparations. When in the City of London I carry an emergency gas mask. Why, well, the chances of needing to use one are small, but I only need to use it once to save my life! 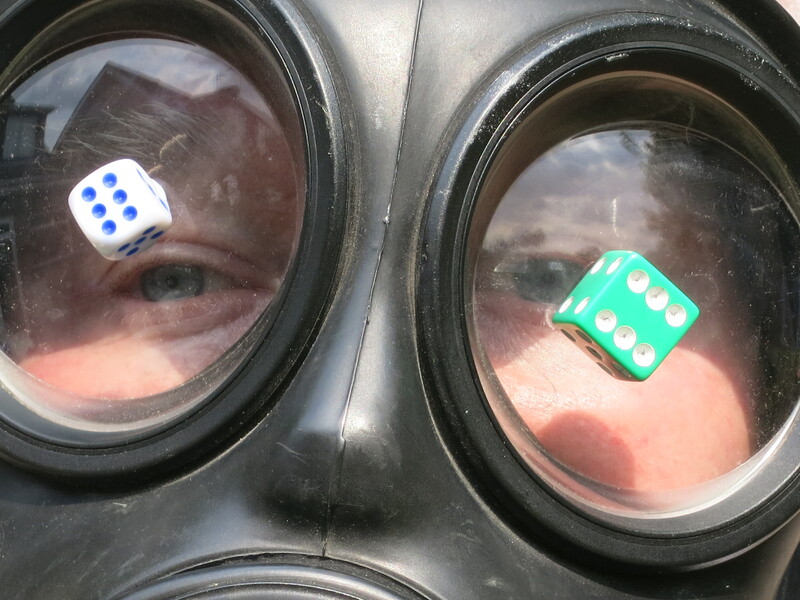 The probability of a biological or chemical attack in London is tiny; but the chance of death is high. Low probability events with high impact; do not let them take you by surprise. Now for a public health warning. First, those of you who have a statistical background (unlike me) will spot holes in my argument. There are issues with Monte Carlo simulations or even using probability approaches. But, they are better than point averages for forecasts. It is a continuum, yes, there is better mathematical or statistical approaches available but even starting to think on the basis of probability is a game changer. Second, probability often depends on the future being similar to the past – but it will not be! However, using the probability approach makes us more aware of both that factor and that highly unlikely events do occur with surprising frequency. Most of us in HR are not statisticians Using the probability approach does involve some understanding of statistics and how to use the programs that are available, be they Microsoft Excel add-ins or programs designed specifically for this work. However, taking the time to understand probability both as a mind-set and as a set of techniques is a major game changer for HR. I would urge you to give it a try; you have little to lose. The gains are large; greater chance of producing “better” forecasts, certainty of being wrong, on average, less often. Increased credibility and perhaps a more open mind set to when those outlier events do occur. Enjoy! Many people will have been surprised by recent research that showed that executive pay in some areas of emerging markets are at or above the level of mature markets such as the USA and UK. A study by the global management consultancy Hay Group shows, for example, that in 2011 the average total cash level for senior management was $154,847 in the USA compared with just over $150,000 in South Africa and $204,421 in the UAE. While appreciating that emerging markets are not a homogenous group of countries; there is a clear trend of rapidly rising executive pay. The drivers for these increases have been identified as high growth, high inflation and high demand. This high growth in cost is accompanied by very high levels of geopolitical uncertainty that both adds upward pressure on packages but also means that careful consideration needs to be given to the nature and quantum of investments in a number of emerging market areas. In more mature markets there are often unspoken assumptions about robust legal systems and continuing political legitimacy (although that is starting to be questionable). Those are assumptions that need to be examined in the light of current events in a number of emerging market territories. The changes in levels of reward in emerging markets turn traditional assumptions on pay on their heads. We are seeing increasingly that higher pay is required in some emerging market countries than say the USA or France. In addition to base pay many EM countries have a structure of large cash allowances for housing, cars, education and so on leading to a very rich cash package before LTIPS, options and the like are taken in to account. In a phrase, the executive markets in emerging markets are hot. This is similar to the conditions seen in the mature markets a few years ago. As an example, senior executives moving jobs in China are likely to generate a salary premium of more than 30%. New thinking is required. It is no longer enough to treat EM remuneration as a subsidiary consideration to the parent market. EM labour markets have their own dynamic which is much faster moving and fluid than we have seen in the west for many years. There is a high demand for senior executives in a number of emerging markets. Asia Pac is a key example where for some time now demand has considerably outstripped supply. Given that economic growth rates continue to look very healthy (and certainly when compared with very weak growth in a number of western economies). It is likely that pay levels will outstrip mature markets if that has not already happened. Inflation adds to the fuel. EmergingMarkets.org quote pay inflation in Venezuela at 29% and in Argentina at 24.5%. Brazil and Mexico are likely to rises in excess of 5% – and that is just to stand still – not taking account of the high demand for experienced senior management in these areas. The fast moving and fluid nature of a number of emerging market labour segments means that it may not be possible to have a prescriptive approach. Nimbleness is the order of the day; reacting slowly or inappropriately will simply mean losing talent to competitors, be they local start-ups seeking a piece of the pie or established national or international players. CT Partners have suggested that it may be appropriate to treat some EM markets as start-ups and structure remuneration accordingly. This will mean some innovative thinking. Larger equity grants (perhaps using local equity market listings) or higher gearing than we are seeing in mature markets. Yes, this will create internal equity issues – but, to mix a metaphor, if you want flesh in the game you are going to have to gamble the pot. My view is that to compete in the hot markets a highly differentiated approach is required. The focus must be on individual country and sector labour markets both in terms of the quantum of reward and in terms of the total reward framework reflecting the innovations and retention products of that particular market. Retention is very important and, given “transfer” premium costs, much more economic than recruitment. I return once again to the concept of treating some emerging market countries as “start-up” territories. This may mean offering equity or equity like vehicles with a mixture of time and performance vesting; weighted towards time vesting with steep steps at each annual anniversary. A cost benefit analysis should show that the potential revenue from emerging markets, with their relatively rapid growth in GDP and the expansion of a consumer orientated middle class should provide the revenue to fund the higher levels of executive remuneration that emerging markets are now demanding. However, there is a fly in the ointment – the risks. • Unfolding events in the Middle East particularly pathways to or away from democracy, the robustness of current geographic borders and the emergence of theocracy. Executive labour markets are going to be impacted strongly by these issues so we have to contend not only with high demand but high uncertainty. This means HR and reward in particular are going to have to develop a competency in the analysis of geopolitical structures, risks and themes if we are to protect our organizations from unexpected shocks and Black Swans. This will mean a different approach to termination clauses as well as considerations within EM packages of security and evacuation – as recent events in Mali have demonstrated. This uncertainty and current events can only lead to further upwards pressures on packages as well as the factors identified above. The rapidly increasing costs of employing senior executives in emerging markets are a vital consideration when undertaking business in these areas. It is important to be both nimble and innovative to stand a chance of competing. Competitive advantage is possible but difficult. The changes in these labour markets must lead to a challenge on existing assumptions of what is “fair” and appropriate in a rapid changing and fluid environment. Taking account of what is happening in each country and sector; both in terms of quantum and design is essential; albeit leading to the possibility of highly contextualised and fragmented approaches rather than a centrally driven strategy. The other side of the coin for executive employment in emerging markets is the very high level of risk and uncertainty. The interaction and correlation between the factors noted by Dr Davis above are likely to bring many downside surprises over the next twelve months. This reinforces the need for nimbleness as well as having appropriate exit strategies (both in a physical and organisational sense) as well as robust business continuity arrangements. One could use the simile of the old Wild West frontier; there are many risks and dangers but the potential for high rewards means that not being in this game is, in itself, a major business risk. You pays your money (mostly to senior executives) and you takes your choice. The profile of reward and the risks it runs can hardly be higher. 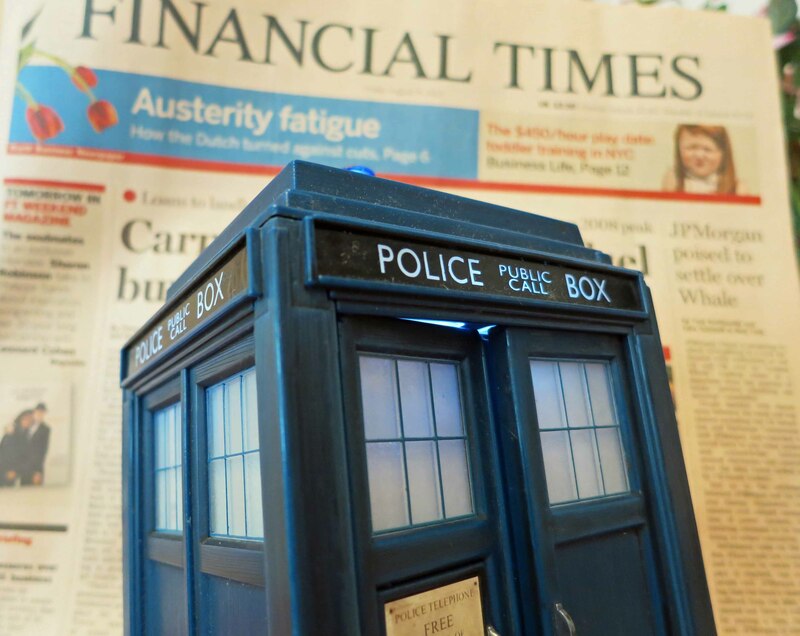 Just in the last few days we have seen media headlines about alleged million pound plus salary overpayments in an NHS trust to further issues around votes on remuneration reports, for example the report in the Telegraph of Imperial Tobacco facing investor revolt over its bonus revamp. These risks include operational reward risks (an often overlooked area) such as making sure that payrolls are run accurately with appropriate tax accounting and payments through to communications between remuneration committees and the shareholder advocacy groups such as, in the UK, the ABI or in the US ISS. Risk is part of business operations. What is important, if not essential, is to measure and manage those risks in a systematic framework. This allows us reward professionals to discuss risk issues confidently with the business, our colleagues in external and internal audit as well as the regulators. A systematic process allows us to define and agree our risk appetite with our organisations and reduces (although will never abolish) surprises from our reward activity. I am a great believer in two philosophic approaches. One is that we always underestimate the frequency and impact of random events. The recent best seller “Thinking fast and slow” by Kahbneman is a fascinating book on these issues. Likewise, we will always be subject to “black swans” the disruptive large scale random event that no one was expecting. Rosario Longo has published a very good blog “Risk and Reward Risk Management” which gives an excellent overview and structure for looking at reward management risk. He identifies the key stages and stakeholders in the analysis of risk – mostly from an operational reward risk perspective but the approach is also applicable to the wider questions of strategy, executive remuneration and so on. His approach on risk measurement and evaluation is very similar to an approach I developed that allows the use of a relatively simple Microsoft Excel spread sheet to generate a visualisation of risk scores in an organisation. Rosario makes the excellent point that risk scores and measurements are not absolute numbers but an expression of relativity in relation to the known reward risks that organisations may face. It must be recognised that my approach is essentially a sub-set of the type of systematic approach that Rosario has suggested. Much of the data feeding in to my spread sheet will have been collected by the methods and collaborations suggested by him. I would add that much of the generation of indicators in my approach are a result of the implicit knowledge of the person drawing up the risks and metrics. An experienced reward professional will know where the key choke points in reward operations lie and what issues tend to occur during bonus planning and reward processes. It would be good practice to collaborate on the list with stakeholders such as Remco, HR business partners, the Finance and Audit departments etc to get their views on what they see as reward risks. The list of reward risks is not static; it will change with time and such issues as changes in legislation, tax, reporting requirements, code changes and so on. A quarterly review of the list would be a good starting point. Some organisations run risk databases; such as Operational Risk departments – or may even have access to external risk databases. All of these are good sources of intelligence on risk in reward. Once we have a list of risks we more on to the next stage of probability. This is the most difficult stage of the process. In the vast majority of cases we look to our (and other) organisational history to see what has “gone wrong” or “needs improvement” in the past. In addition we must also scan events to look for issues that have occurred in other organisations, either in our sector or elsewhere. Again, access to an external risk databases is a good way of keeping up with risk issues. Advisors can also be a good source of advice around incipient risks. At the end of the day risk is largely down to individual judgement. Unless you have risks with a high frequency which allows mathematical modelling such as Monte Carlo simulations then you have to make an informed judgement call on the probability of risk based on history. However, as investment advisors are keen to point out, past performance is no predictor for future results”. Also any risk listing will be specific to the organisation to which it relates – it is all about context. My model uses a risk weighting of 1 to 10. Where a rating of one is highly improbable and ten is certain. Once again, the rating is not static. Risk probabilities change over time, so the probabilities must be reviewed frequently to ensure we are capturing as many of the issues as possible with their shifting probabilities. 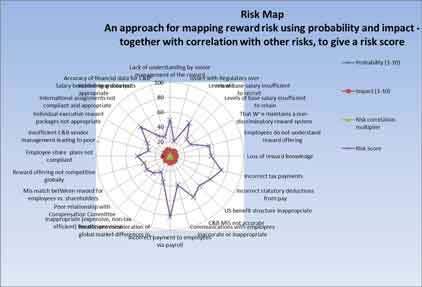 I am sure that statisticians or actuaries would have much more sophisticated approaches to this process; but I have designed the approach so that HR and reward professionals have a basic framework to start their risk mapping, if you have access to more sophisticated approaches then do use them. It is important, from a methodological standpoint, not to read false accuracy in to the risk probability approach. At the end of the process we are looking at the relative levels of risk in our organisation to give some focus as to where we should concentrate resources; not a forecasting tool. This is perhaps easier than listing probabilities. Again we use a simple 1-10 scale where one indicates no impact to ten – the end of life as we know it. 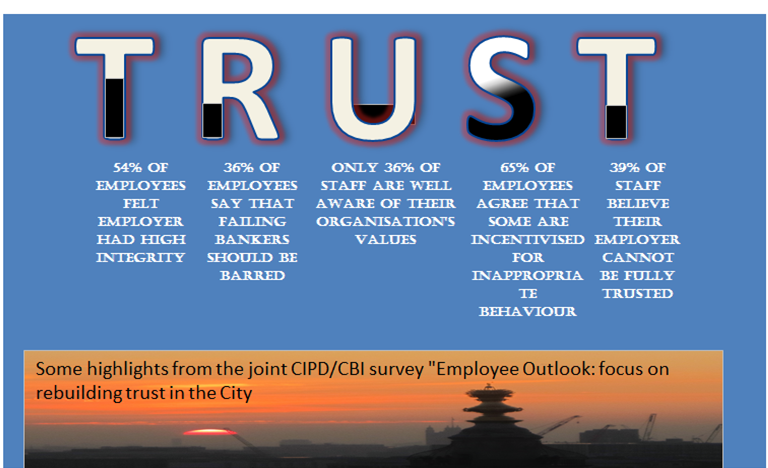 What we are looking at here is what impact would the risk have on our organisation? For example, would incorrect tax payments on employee remuneration lead to reputational and financial damage? Would not paying our R&D staff insufficiently result in them leaving with long term damage to our research effort? Again, we are looking at an estimate of impact, ranging from some minor inconvenience to putting the existence of the organisation at risk. As an example of this we have seen some companies run in to very serious financial problems in the UK as they had not fully considered the risks they were taking with their final salary pension schemes and the funding requirements nearly bankrupted them. Another story around impact and probability. When working in the City I was advised to carry an emergency gas mask. I questioned the advice. 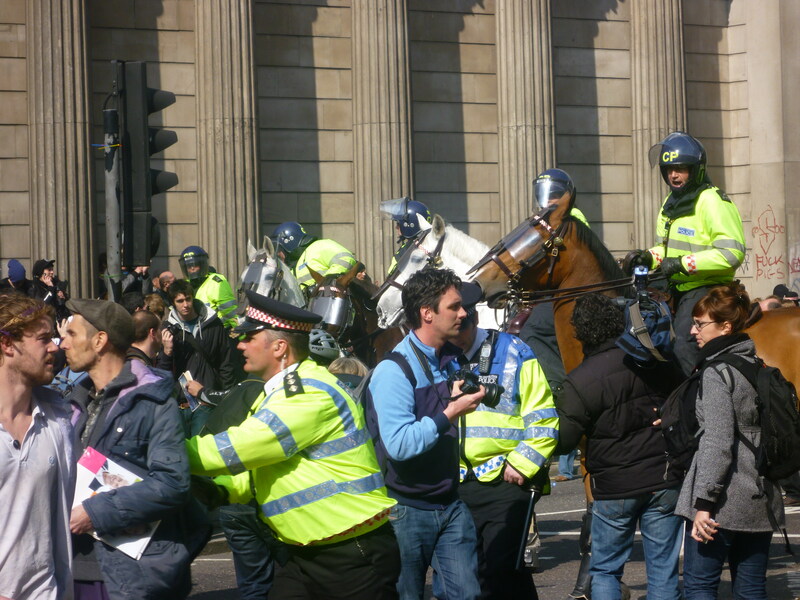 It was pointed out to me that the probability of a terrorist gas attack in the City was small (although perhaps higher now than in the past), the probability of being on an over ground or underground train catching fire and filling with smoke was considerably higher – but still low. However, the impact of either of these events was a ten. So while I hope I never have to use the mask, it only takes one occurrence of the above and me to have the mask to save my life. We do tend to underestimate low probability, high impact events; as a former scout leader, “be prepared” it a good motto for reward risk as well as scouting. At this stage we have a list of risks, a listing of probability against each risk and a score for the potential impact of the risk. My initial model of risk in reward did not contain a risk correlation multiplier. However, I have come to the conclusion that difficult as it is, consideration has to be given to this issue. What is a risk correlation multiplier? Simply put, if a risk occurs how likely is it that the risk will cause an increase in another risk factor. Taking a simple example of payroll. The risk is that we are not paying our employees correctly. There is a correlation (and I am not strictly talking of statistical correlation here) between not paying employees correctly and not paying the correct statutory deductions in the relevant country. What I have done is added a correlation multiplier to the score for the risk of not paying employees correctly to reflect it will increase risk in other areas. If you pay employees in different countries, perhaps on split contracts, the issue of where payment is made, where, and how much tax is due and the implications of getting it wrong, impact on a number of other risks and pose a real operational threat. Once again we are in the world of estimates. The more statistically aware will see I am multiplying estimates by estimates by estimates; giving a number which arguably has no real meaning. However, as noted above we are not looking for an arithmetical answer but relativities of risk in our organisation to allow us to focus resources in the most effective way possible. This is simply the product of the probability, impact and risk correlation multiplier. The risk score is a single number that allows us to rank our scores and see where the highest risks in our environment appear to exist. As figure one above shows, it is possible to produce a useful graphic that shows where are key risks are concentrated. This is really beneficial when talking to stakeholders, who may not need the detail of the process, but allows them to focus in on the key risk factors. Clearly if you have 300 risks, mapping them like this will not work. In that case it is easy to return to our original process map of reward and use this approach to map risk against each process with an overall map showing a cumulative risk for each process in our reward product stable. Once again individual circumstances and trial and error will lead us to a process that is optimal for us and our organisation. Once we have the information on the likely risks in our reward environment we need to consider how to manage them. In my model I use a column called “mitigation”. That is what we can do to reduce the risk. It may be, for example, that we review the risk with an external advisor or with our Finance department to see how the risk can be reduced. Linked to this is the next column which I have called “Controls”. So, for example, if we are concerned about inappropriate payments being made from payroll we can have four eyes, or even six eyes sign off on non-regular payments. Or, perhaps mandate a random sampling and checking of the payroll. Again, our colleagues in external and internal audit can be of great help in designing controls on our key risk areas. Having appropriate key performance indicators is one approach to managing risk matrix issues. We need to know and measure before we can attempt to control. It is not possible to attach KPI’s to every reward process; but there are many that we can. For example, we can look at attrition statistics, together with leaver interviews to deduct if pay levels are an issue and track this over time. Payroll and pension payment errors are easy to use for KPI’s. Many years ago when I worked for Ford Motor Company, everyone in the business, over a certain level or employed in certain key areas were required to undertake a course in statistical process control (SPC). I suspect this may be a little old fashioned these days; but I found it a very useful way to look at error occurrences and decide if they were random issues or there was an underlying systematic problem that needed to be addressed. KPI’s and SPC taken together are very powerful tools for spotting issues before they become (or as they become) problems. Every organisation will have their way of managing risk, but having an organised systematic approach, from the very simple to the very sophisticated is a very good way to start on the risk management journey. For me, the final part of the risk management mapping is identifying the risk owner. Who has responsibility for the process in which there are risks? This helps focus our attention on the whom as well as the what of stakeholder risk management. One of the other important outputs from risk mapping is to agree with management the risk appetite of an organisation. What risks within the matrix are acceptable and which are unacceptable. Risk is part of business and the costs of mistakes are again part of the cost of business. The question arises as to how much cost (including indirect cost such as reputational damage) is an organisation prepared to “allow”? What risks are completely unacceptable and need to be completely removed if that is possible or a willingness to spend more or less on mitigation of risk. This is an area where a risk mapping in reward can add real value to a business. The mapping of risk in reward is a key process. It gives some comfort to management, auditors and regulators that we are aware of the risks of our activities and the steps we have taken to measure, control and mitigate as appropriate. The two frameworks, from Rosario Longo and my spread sheet based approach provide a very useful toolkit for a systematic approach to risk in reward and at least forms the basis for a comprehensive risk structure. Risk mapping adds value to our activities and processes for the business as it both prevents unnecessary costs and contributes in a very positive way to the governance of our organisation.